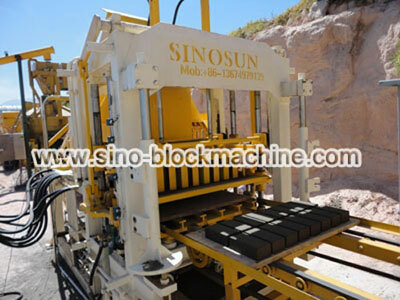 ★The vibration engine (the core system of mechanical drive) of QT6-15 concrete block making machine, adopts the classic manufacturing process of gear drive of the high grade automobile engine, which directly guarantees the core system hardware of molding machines manufactured by SINOSUN,reaching the international first-class quality. ★The perfect automatic control system used in the concrete block making system is undoubtedly a rising star when the cost of manpower continuously rises. A is for the main hydraulic cylinder of the concrete block machine, it is used to up and down the up block mould.The two hydraulic cylinders can produce 16Mpa pressure. B stands for the synchronous axis. There are 2 synchronous axes beside the QT6-15 concrete block making machine to keep synchronous when the mould up and down. C is the guide axis. There are 4 guide axes beside the concrete block making machine. These axes would absolutely keep block mould in one horizontal plane. 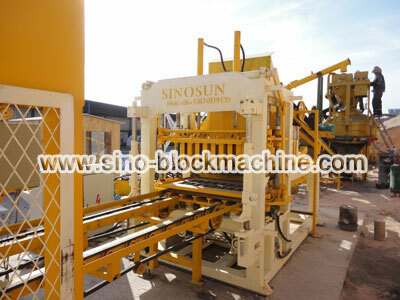 QT6-15 concrete block machine uses rubber blocks to focus the shock to the vibration table and reduce the damage of the block machine, because of the huge vibration force. The rubber blocks would give the whole vibration force to blocks, form the blocks compactness completely in 0.5~2.5 Seconds. There are 6 solenoid switches on the QT6-15 concrete block making machine, these solenoid switches would make sure the up and down mould in right position while working. Get to know the detail information on our photos. 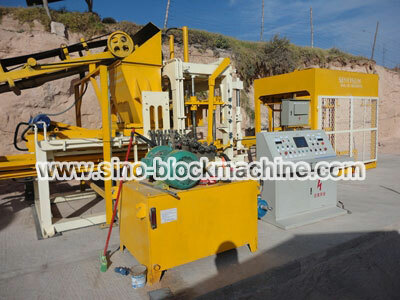 The whole concrete block making machine equipped with corresponding magnetron travel switch, manual, and function control button switches etc. 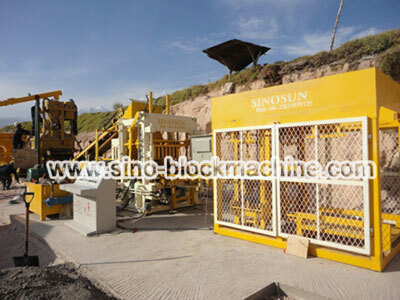 This intelligent electric equipment make our concrete block making machine reliable operation, convenient operation and practical. 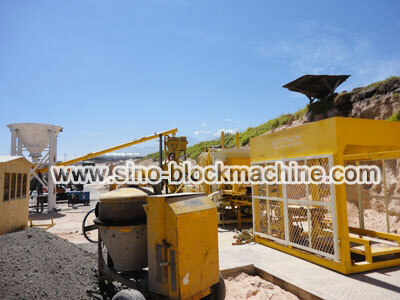 Usage Extension Hollow block, solid block, colorful paving block, tiles, etc.